On Saturday we planted corn. I hope the crop is a success because the seed was expensive. My friend, John Bauer, is a seed salesman and he brought me a sweet corn variety he swears by. John used to farm in Massachusetts and he grew a lot of corn. Out here in California among us coastal growers more accustomed to planting broccoli, lettuce, or strawberries, he’s something of a “Johnny Corn Seed,” tramping the country and promoting the merits of Zea mays. John hauled a fifty pound sack of corn seed out of the bed of his pick-up truck by its ears and flopped it onto the barn floor. “There,” he said. “When your crew gets a taste of this sweet corn they’re going to think they’ve died and gone to heaven. I looked at the bag of gold that lay between us. “I don’t know about that,” I said. The sun had already set and there was food on the stove in the kitchen and a bottle of wine on the table so I said, “come on in.” John and I sat down to dinner and talked about corn. That sounded easy. The way I farm, all my planting beds are forty inches wide. The axel on my tractor is set at eighty inches, so it can straddle two beds at once, and all my sowing and cultivating implements are set to accommodate those dimensions. “Do you have a corn planter?” John asked. John’s got that whole “Yankee ingenuity thing” going on. He thrives on building seed sleds, mechanical cultivators and other labor saving devices. I’m all thumbs. I don’t have much equipment on my farm, and since I’ve never grown a lot of corn, it’s never made sense for me to buy a special seeder. Besides, there’s my crew to think of. “You know that ten acre piece on the south side of San Miguel Canyon Road,” I asked,” where the road leaves the valley and heads up into the hills? John could see where I was heading. “Did they grow field corn?” he asked. “Well, Mexican corn” I said. Corn has been in cultivation a long time– between 7000 to 12,000 years according to some estimates– and archeobotanists trace its origins to the Rio Balsas in Mexico, not far from Jacona, where Ofelio and Juan grew up. “They planted it by hand?” John asked. “Well, first they soaked the corn seed in a bucket of water,” I said. “Then they sharpened a couple of willow sticks. When the corn swelled up they dumped it into feed bags, and threw the bags over their shoulders. They poked holes in the soil with their sticks, let five or six seeds drop from the bags into each hole, scuffed a little dirt with their feet to cover it all, and took another step; poke, poke, drop, drop, scuff, scuff, step, step, over and over until the whole patch was planted.” Ofelio and Juan had come north during the Bracero program in the 50s. Since then, they’d been paid to do every kind of farm work in the US except plant corn by hand, but the rhythm of corn sowing they’d learned as kids stayed with them their whole lives. “If you don’t have to plant a lot of seed, sowing corn by hand works just fine,” John said. “They’d do what?” John asked. A milpa is an ingenious agricultural system the ancient Mexicans developed. 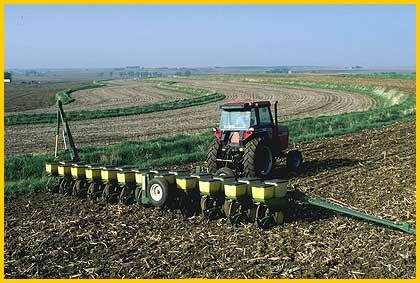 They planted corn in little hills, and at the foot of the corn stalks they planted beans. The beans grow with the corn, trailing up the stalks. In between the hills of corn they planted squash. The milpa is an example of the potential felicitous harmony between the earth and the human body; the corn supports the beans, the beans, being legumes, fix atmospheric nitrogen and enrich the soil for the corn, and the big, broad squash leaves shade out the weeds. Corn, squash and beans, eaten together, also make for a balanced human diet. Milpa agriculture doesn’t work in a production economy where labor costs are high, but as a form of subsistence agriculture, it is genius. “How did their corn taste?” John wanted to know. In the US, some dent corn varieties are used to make hominy grits, but many are grown for livestock feed. “Well, it depends,” I said. “Sweet corn gets right to the point– small plant, big ears, fast growth. But their corn grew, and grew, and grew. When the ears were finally starting to fill out, and the kernels were in the milk, they picked some and Ofelio’s wife made special tamales, not out of masa from dried corn, but from the fresh corn she scraped off the cob with a knife. And instead of wrapping the tamales in dried corn husks, she used green corn husks. Those tamales were sweet, and just about the best Mexican food I’ve ever had. 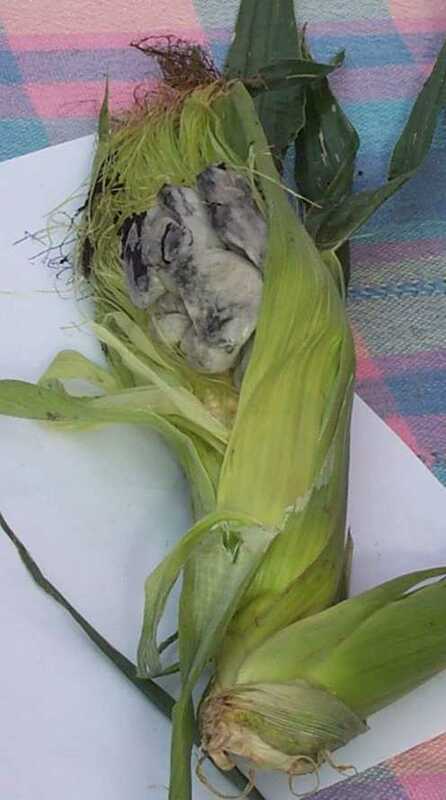 “And then when they found some ears infected with corn fungus, so that the kernels were all swollen and black and distorted, they picked them and took them home as cuitlacoche. Cuitlacoche looks gross, but it has kind of an earthy, smoky flavor when it’s cooked that’s real good, like mushrooms. When I read the ladybug letter I’m even more proud and excited to be a patron of Mystery Box Thursdays and a customer/supporter of Marquita farms. Andy, your writing is amazing and you tell stories from a great ‘angle’ - technical, but easy enough to understand, and full of heart and passion. I learn something new each time. Thank you for taking time to share these stories with us. Thank you for the quality. Interesting, as all your newsletters tend to be. I hope you’ll be bringing any cuitlacoche to the market! BTW, is it cuitlacoche or huitlacoche? The latter is how I most often see it written. Is there a way to encourage the cuitlacoche? I’m growing 12 plants myself in the hopes of striking gold. I was told that watering from above helps, but I don’t know… yet.